Up to Speed: What Does Kurt Busch Do Now? Home / Bryan Gable / Up to Speed: What Does Kurt Busch Do Now? 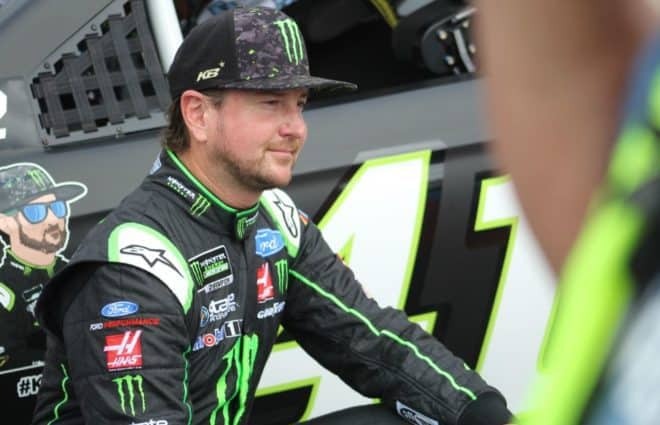 During the autumn of 2018, most of the chatter surrounding Kurt Busch has been speculation about his future. But in the present, Busch is still right in the thick of the championship battle. Busch has been quietly putting up good results during the postseason. 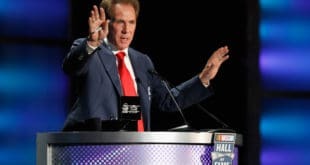 He nearly earned his second victory of the year at Talladega Superspeedway before running out of fuel on the final lap. Other than Talladega, Busch’s playoff success has gone relatively unnoticed. 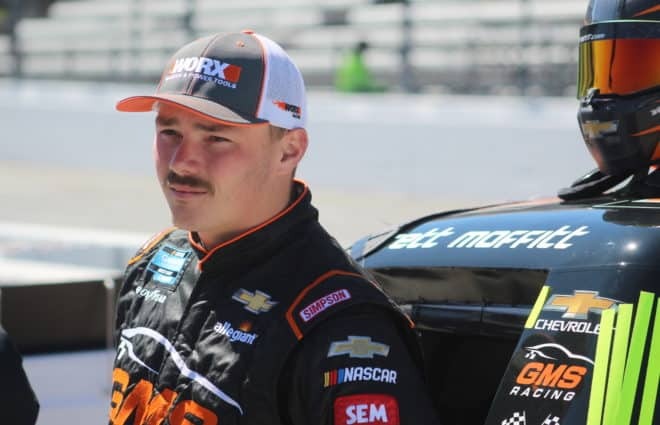 Now, with one race left in the Round of 8, his championship hopes hinge on a good run at ISM Raceway next week. Heading to Phoenix, Busch is in an awkward points position. He is fifth in the playoff standings, 25 points below the cutline. While that is a lot of points to make up in one race, it is not a must-win situation for the No. 41 team. Martin Truex Jr. is the last driver in a transfer spot, while Kyle Busch is only three markers ahead of Truex. Behind the elder Busch are Chase Elliott (39 behind Truex), Aric Almirola (57 behind) and Clint Bowyer (73 behind). Those deficits would realistically require Elliott and Almirola to win next week, while Bowyer is in a true, mathematical must-win situation. If Kurt Busch qualifies well and earns more than a few points in both stages at ISM, he could make up ground on his brother and Truex. The No. 41 team started 23rd and finished 10th at Phoenix earlier this year, so Busch would need to improve on that result to ensure passage to the championship race. It is fair to say, however, that Stewart-Haas Racing has only gotten better as the year has progressed. And even though Busch’s only win at Phoenix came back in 2005, he can draw some inspiration from Matt Kenseth’s win last year. Kenseth only had one other win at Phoenix too, all the way back in 2002. So yes, Busch has a path to the championship round of the playoffs. It will be tough, and the pressure will be on the No. 41 team to have a perfect race. In fact, the pressure will only build as questions about what Busch will do next year continue to linger. Busch went into last year’s offseason without having a contract solidified for 2018. The new deal, only for this season, came together in December. If Busch took a pay cut to stay at SHR, perhaps the on-track results have made up for the smaller salary. The organization has emerged as the dominant team in NASCAR, with all four drivers reaching the Round of 8. Yet the bulk of the SHR’s wins have gone to Kevin Harvick, not the others. Harvick earned his eighth victory of the season at Texas Motor Speedway on Sunday. Busch finished seventh, which sums up the difference between his season and Harvick’s. Busch needs only one more top 10 to set a personal best for top 10s scored in one season. It would be impressive to see Busch do that in the 18th year of his career. The problem is that his rate of winning races has not increased like Harvick’s has. Busch’s last multi-win season is 2015, which is also his only multi-win season with SHR. The 2018 season has been a good one for Busch in a lot of ways. However, he has not been able to run up front for an entire race like Harvick has. Maybe Harvick’s dominance is why people have overlooked Busch this year. The success of the No. 4 team, coupled with the rise of Almirola and the resurgence of Bowyer, pushed Busch into the shadows. 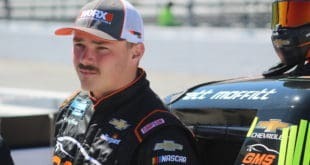 Back in August, his name came up as a likely replacement for Jamie McMurray at Chip Ganassi Racing. 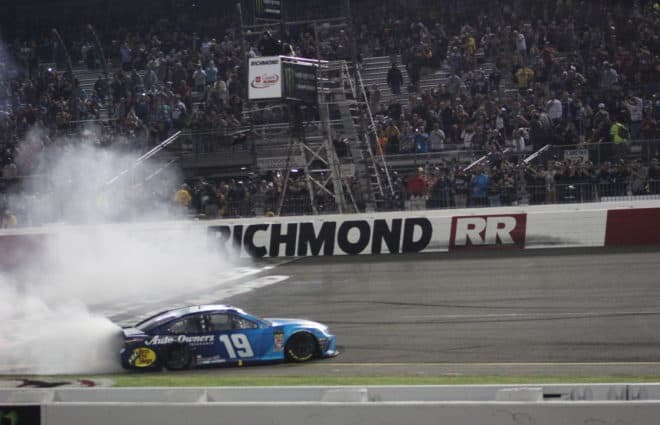 One week later, Busch scored his 30th and most recent Cup Series victory, taming the high banks of Bristol Motor Speedway in one of the best races of the year. 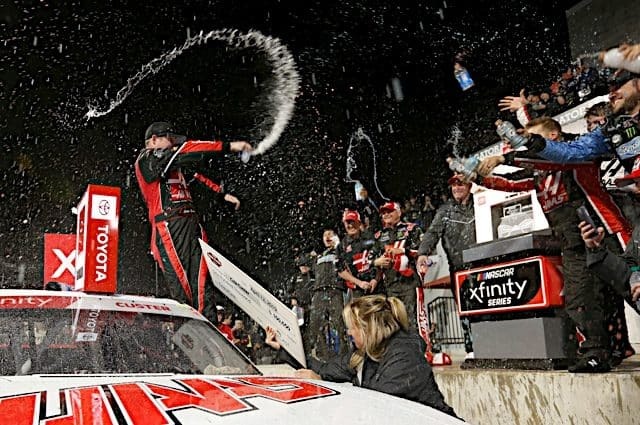 CGR, meanwhile, is still winless in 2018, although Kyle Larson has come close a number of times. If Busch does join Larson at Ganassi’s team next year, will he have another shot at the championship? McMurray and the No. 1 team have had few outstanding runs this year while Larson and the No. 42 team cannot seem to stop shooting themselves in the foot. Busch would be a nice add for CGR, certainly someone who could match the years of experience McMurray offers. The No. 41 car, meanwhile, would probably go to someone with a sponsor that is willing to bring SHR a bigger check than what Monster Energy can provide. It is not out of the question that Busch could return to SHR in 2019. But coming back to his current team is not an automatic pass to the Round of 8. 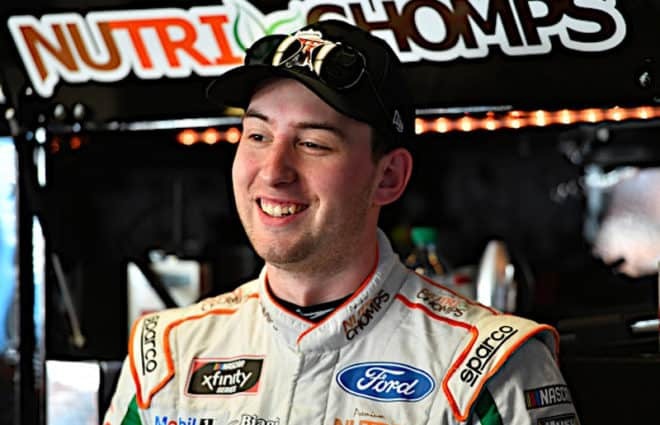 Busch went into last year’s playoffs on a bit of a hot streak, and he was a popular pick to be a sleeper in the championship fight. However, a crash at New Hampshire Motor Speedway put him in a serious points hole. His title hopes for 2017 ended in the Round of 16. 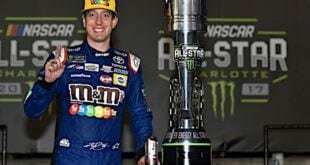 This year could be Busch’s last good chance to win a second championship. With the No. 41 running fast almost everywhere, and SHR looking like the top team in NASCAR, he will not get many more chances to replicate the circumstances that have gotten him this far into the playoffs. The championship window is still open for Busch. But if the No. 41 team gets eliminated from the playoffs next week, it may shut for good. Keep your fork handy… once the Phoenix race is over, Kurt Busch is done. Damn… I have pissed off Kurt’s mama. Sorry. What does Kurt Busch do now? Hmmm. Such a provocative question. First, he has to win next week at Phx if he wants to contend for a championship. 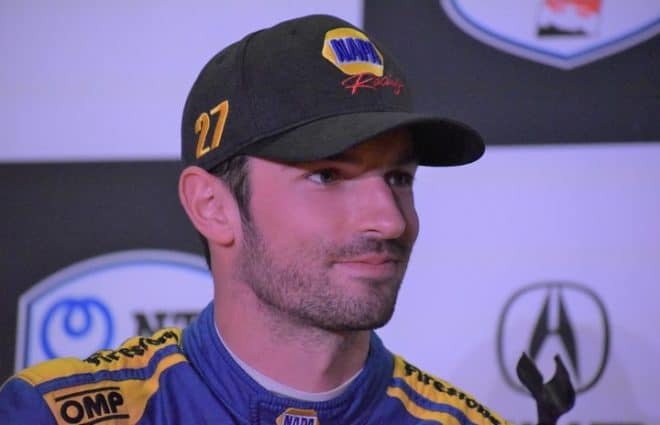 Second, he signs with Ganassi if SHR won’t resign him (unless he wants to retire … which might be the better choice given Ganassi’s performance this year). Pretty easy question. What’s the point of your article? You really didn’t know the answer? Doubtful. Dumb.